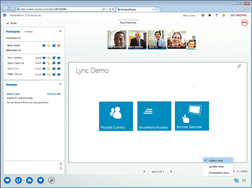 Stay in touch anywhere: Lync enables users to communicate securely anywhere they have network connectivity, and automatically adapts to network conditions. 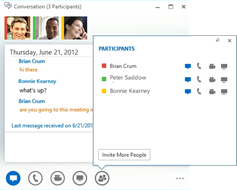 Use the device you want: Lync makes communicating easier with a consistent and familiar experience available on Polycom Desktop, Windows PCs, Windows Phone, iOS, and Android smartphones. 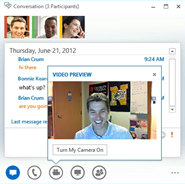 The new immersive Lync app for Windows 8 and Windows RT provides a seamless touch-first experience. 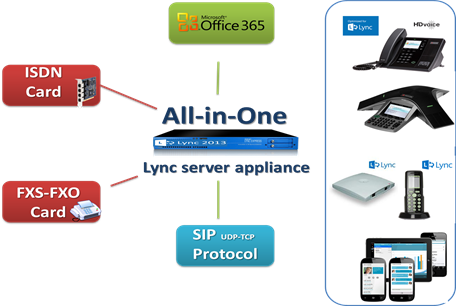 Connect with the outside world: Lync federation extends unified communications securely over the Internet to customers, suppliers, and partners using Lync or Skype. 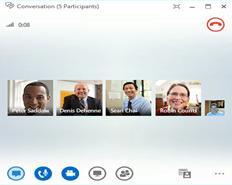 Make virtual meetings more effective: See up to five meeting participants simultaneously with new multiparty HD video support. 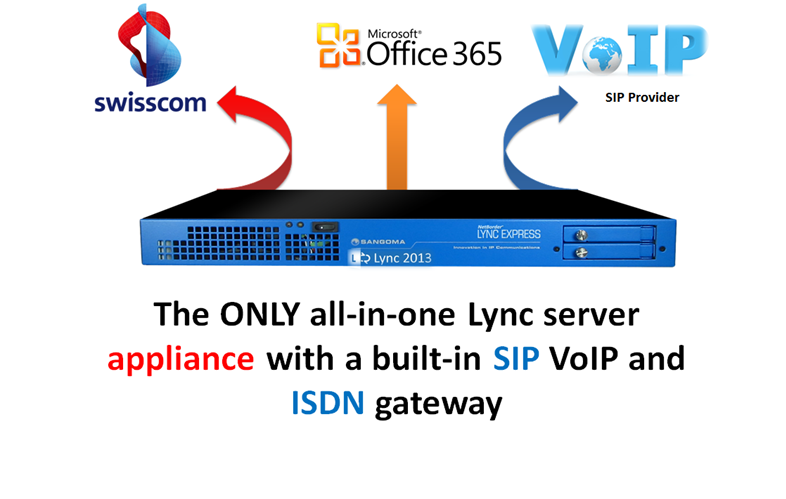 You can choose who to see or let Lync choose for you. 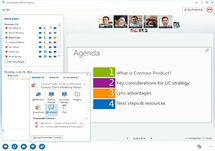 Easily join meetings: Joining a Lync Meeting requires only a single touch or click on smartphones, tablets, and PCs.